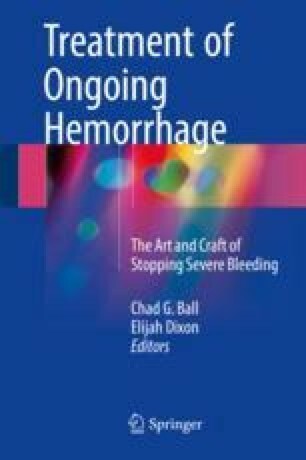 Endoscopic Hemorrhage: This is Even Harder than the Laparoscope! A 62-year-old obese, diabetic, cirrhotic patient with COPD and coronary artery disease has a massive upper gastrointestinal bleed. He is intermittently stable with resuscitation, and you identify a large bleeding duodenal ulcer on your endoscopy.